Plea For The Sea empowers the community to become educated about the human and environmental impacts on marine life. We are dedicated to conserving and protecting our ocean’s delicate ecosystems and ending marine wildlife captivity. We are advocates for ocean animals. 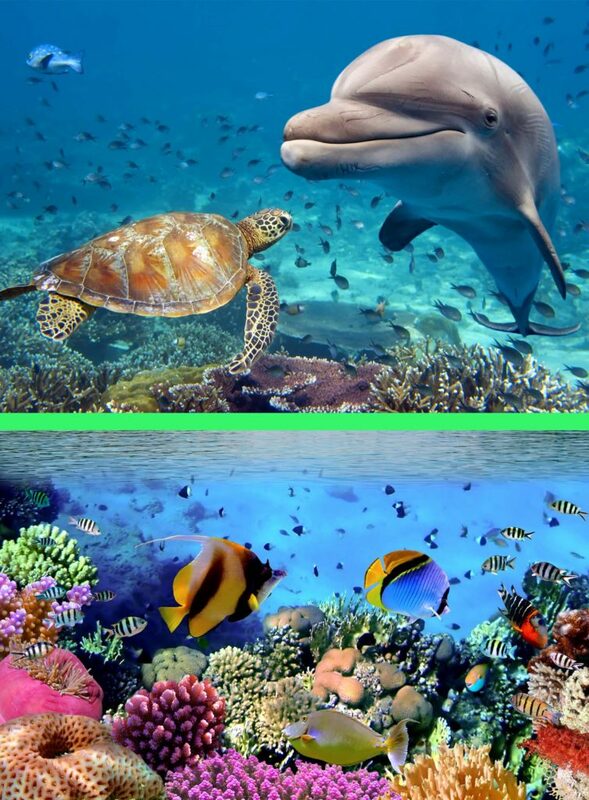 We believe the best way to conserve ocean life is to protect all creatures in their natural habitats. Our hope is to bring attention to the adverse effects single-use plastic has on our environment. We strive to educate and enlighten, with a goal of ending entertainment-based captivity. We love dolphins. So imagine our disappointment when we found out that a dolphinarium was opening in Scottsdale, Arizona. These highly-intelligent and social ocean mammals are isolated in chlorinated pools in the middle of the arid, unforgiving desert. In 2016, this “pay to swim with dolphins” entertainment venue opened for business amidst a wave of ongoing protests. Right now, 7 captive-born dolphins are kept at this facility in small pools – the deepest of which is a mere 10 feet. In the wild, dolphins routinely dive to 900 feet. We believe that the public, once educated on the realities and detriment caused to the dolphins, will make the decision to not support facilities like this in Arizona and around the country. We love the ocean. Clean ocean water is vital to sustain life. Plastic constitutes approximately 90 percent of all trash floating on the ocean’s surface. 500,000,000 straws are used every single day in the United States. Over 1,000,000 plastic bags are used every minute. It is our hope to bring attention to single-use plastic with our plastic awareness campaigns and partnerships. Please see our events page to see how you can get involved!